After many years of working in real estate, Michelle has decided to make the move to Compass, and we could not be more excited! 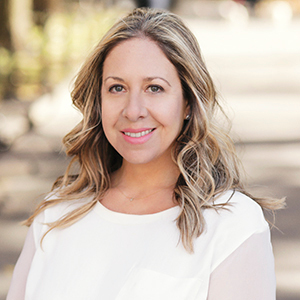 Michelle is passionate about the NYC real estate market at large, but considers herself a specialist in new developments, having collaborated with architects, and developers on multi-unit combinations. Architects and Developers often turn to Michelle to weigh in on aspects from design to construction to help them extract the most value out of their projects. As a partner with Breskin Development, Michelle has served as lead designer in over a dozen high-end custom-builds and a notable historic renovation in the Hamptons that garnered extensive press. As a result of this experience, Michelle understands what clients want as it relates to design, what is trending, and has a keen eye to spot quality materials in construction to ensure her clients are buying a valuable property. This intimate knowledge of design and building and attention to details also positions Michelle uniquely to help Sellers as she can speak to a property and show value in ways others cannot. A native New Yorker, she has a vast knowledge of various neighborhoods from The Upper East Side to Brooklyn. Having three children of her own, Michelle is infinitely familiar with local school districts and the NYC board of education zoning. Given her intimate knowledge of the NYC school system, families turn to Michelle as the expert in finding their dream in a desired school district. Michelle holds a Bachelor's Degree in Economics and an MBA with a concentration in Marketing. Her prior career was in the financial services industry working on a high paced, highly profitable equity trading desk. Her economics and finance background has helped her identify the effects of global economic events on the real estate industry and provides her with the ability to advise her clients from an investment perspective that other brokers cannot. She is a highly effective negotiator and always puts her client's interest first. Michelle is fluent in Russian, and is able to conduct business in Russian.